many years past, i travelled south in daylight hours, by national express coach, stopping at most of the major conurbations encountered en-route. unlike glasgow's buchanan bus station, however, those city centre coach stops played host only to buses heading to locations outwith the area in which the bus stations were situated. buchanan street, my point of origination, was the only bus station to feature local service buses, connecting not only locations within the city limits, but also stops as far distant as ayr and kilmarnock. islay, being a considerably more rurally constituted isle, sees only one bus company offer a daily service apart from sundays. mundell's coaches operates on behalf of argyll and bute council, travel between the island's principal villages, as well as the daily school runs in the morning and late afternoons. they are also timetabled to meet the morning and afternoon ferries, offering islanders and visitors alike, a regular, if infrequent, means of transport. it's a place where the clichéd phrase referring to having waited ages for a bus and then two arrived simultaneously, has never been given cause for use. the same cannot truthfully be said about the weather. for after waiting a lengthy period for suitable days in which to ride in bibshorts, predominantly for the purposes of offering salient reviews, precisely none arrived at the same time. you may have perused my recent review of velobici's rené shorts, one that i had fully expected would be rapidly followed by the reassuringly expensive bibs from ashmei; except, it wasn't. and to be perfectly honest, the days in which i did manage to complete my perambulations while clad in such finery, proved ultimately, to be less than suitable. if i might offer qualification of that statement, unsuitable for the rider, rather than for the bibs. 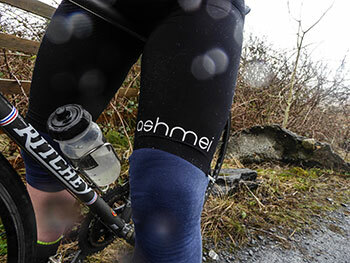 ashmei have been crafting fine cycle clothing for many a year, my last review of their bibshorts appearing almost five years ago. these, the only pair in the range, are the upgraded version, but still feature the almost paper thin, yet highly water and wind resistant fabric that proved favourable the last time round. 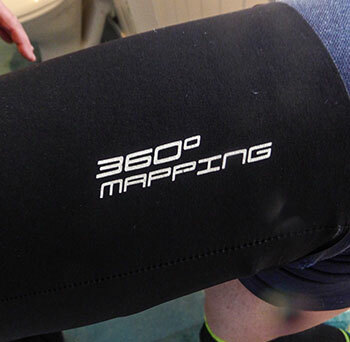 additionally, their high-density foam pad reputedly does not absorb moisture in similar fashion to those featured in competing bibshorts from other apparel purveyors. thus, ashmei maintain, you could wash them of a morning and be ready to fit in a another bike ride, come the afternoon. i cannot claim to have attempted, this, but after one particularly wet and windy ride, the pad was noticeably less staurated than you'd be likely to expect. allied to the water resistance of the rest of the shorts, this made sitting in debbie's one particularly inclement saturday lunchtime, a far more amenable situation than would normally be the case. i have long maintained that a well-fitted pair of bibshorts ought to be a tad strugglesome to put on, though i fear ashmei's bibs might take this a smidgeon too far. possessed of a small waist, i am in the habit of requesting small sized bibs, these being no exception. however, though the material from which they are fashioned bears some degree of stretch, this is limited in comparison to a regular pair of lycra shorts. it may pay to size-up one step if you normally find yourself on the cusp of sizing limitations. however, once in place, this spray-on fit becomes their secret weapon, for no matter the gymnastics performed trying to outwit a galeforce crosswind in horizontal rain, they budged not one millimetre. it seems possible that this lack of movement allied to their comfort, is attained, at least in part, by the mesh panels that join the bibs to the shorts. 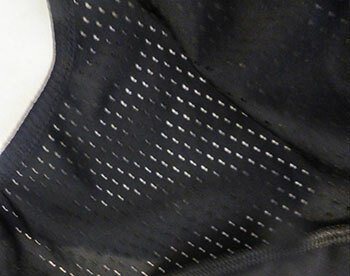 this keeps everything in place, yet allows a flexibility occasionally missing from other bibshorts. the frontispiece is also conveniently low to allow for unexpected calls of nature along the glen road, en-route to mulindry, but we'll just keep that to ourselves for the time being. and while i'm here, allow me to apologise for the lack of pertinent imagery accompanying this review. on the designated photography day, the weather turned out to be far worse than anticipated and i feared for the life of my camera. additionally, i had need of matching the shorts with a pair of kneewarmers; i might be big and tough and strong, but i'm not stupid. it could be (probably erroneously) assumed that one pair of bibshorts is remarkably similar to the next, give or take the occasional price tag, but these are idiosyncraticatically superb and supremely comfortable enough to disavow you of such a notion. their ability to fend off the worst of the weather only makes them even more lovable. with so many bibshorts available on the market today, distinctiveness is probably every bit as important as the more usual criteria. 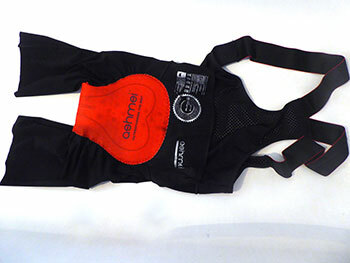 ashmei bibshorts are available only in black, in sizes ranging from xs to xxl at a retail price of £235.